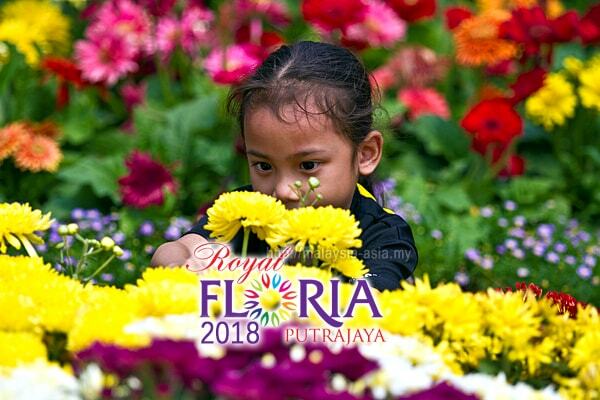 After skipping one year, Royal Floria 2018 in Putrajaya is back, and will take place from 25th August till 2nd September at Anjung Floria or Precinct 4. This years Royal Floria Putrajaya will also be highlighting the expertise, creativity and professionalism of Malaysian designers to showcase our local talents, as part of the Malaysia National Day which falls on 31st August. 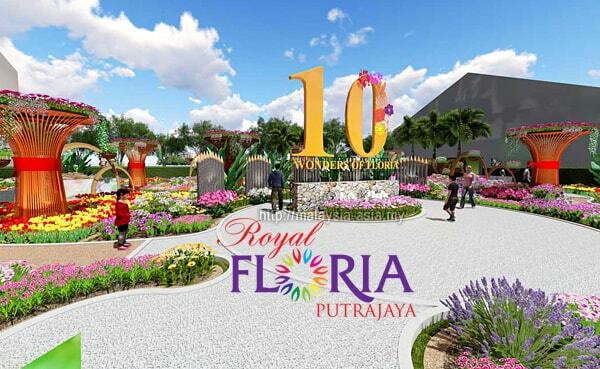 This year's Royal Floria will have a theme called “10 Wonders of Floria”, in conjunction of the 10th anniversary of the event being held at Anjung Floria in Precinct Four. Over 400,000 flowering plants will be on display which includes bougainvilleas, begonias, lilies, hibiscus, orchids, heliconias, roses and chrysanthemum flowers, which are all the theme flowers over the last 9 years. This year's Royal Floria 2018 expects to see a total of 1,500,000 people attending the event over nine days, as during the last event in 2016, a total of 1 Million visitors were recorded visiting the show. For those who are new to this event, you may be wondering why there was no Royal Floria 2017, and this was not publicized during that year. 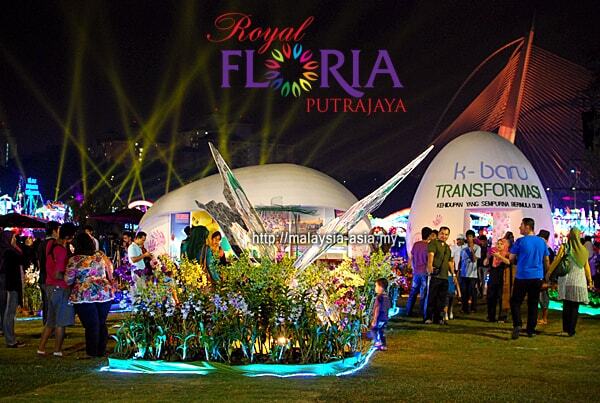 Royal Floria has been ongoing since 2007 and only in 2017, it was halted, where prior to this, the last event was actually Royal Floria 2016, with the theme called Magical World of Floria, and the Chrysanthemum as the theme flower. Visitors coming to this floral event in Putrajaya also need to take note that you will be spending at least three hours and above here. The area is huge, and there is a lot of walking to be done. For amateur or professional photographers, this will be a great place to practice your landscape, portrait and macro photography skills. There is also a photography contest during the event. One of the concepts that attract many are the many different themes and gardens that are specially created by the government departments, schools, colleges, universities and corporate sectors. Each of these gardens showcase their own unique design and landscaping, and visitors are invited to walk in to see the details. Some of them are really creative, hence you will need to explore them all. A total of 29 international participants from nine countries will be featuring their floral art and displays throughout the event. 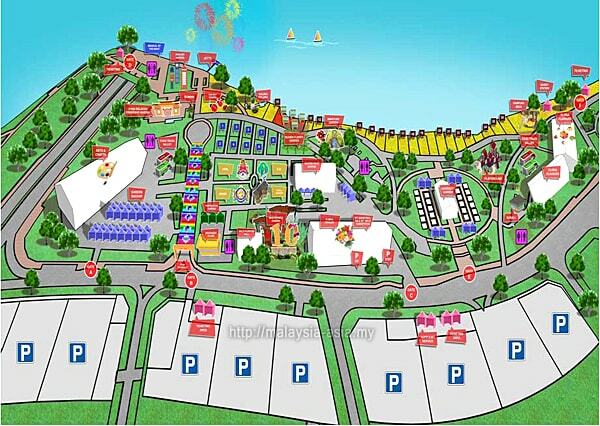 Every Floria event, there will be many different activities that take place around the event grounds. These activities have time slots and best to get the information brochure when you enter. Designer Gardens - A yearly feature where professional landscape architects create unique and designer gardens for the urban lifestyle. Entrance Statement - This is the main entrance, where colorful fabrics from Royal Floria's logo are cleverly used overhead as you enter the expo grounds. This will be your first impression of Royal Floria when you walk in. Fantasy Garden - A garden crated for those who love fantasy and children, there will be a surprise for kids as the Pullman Putrajaya Lakeside Hotel will be giving out free lollipops, candies, popcorn and balloons. Fertigation Garden - This unique feature demonstrates urban farming techniques for the general public to cultivate greens and vegetables. Fertigation is suitable for use in homes or apartments with limited space for gardening. Floral Pavilion - One of the most popular attractions as the Floral Pavilion is inside an air-conditioned tent. The pavilion also showcases floral displays by international and local exhibitors. 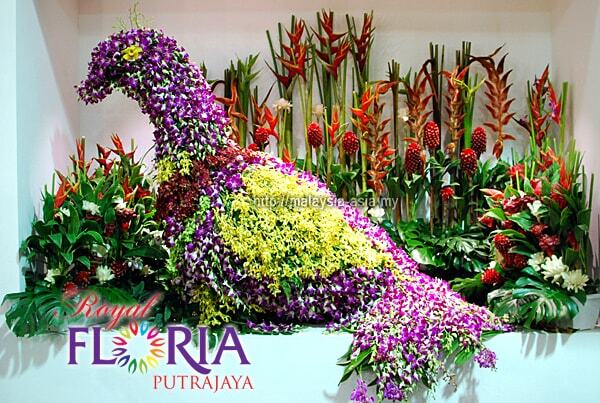 Floria Arts and Crafts - This is a new attraction for Royal Floria 2018 where you will find vendors selling traditional Malaysian handicraft products. A total of 90 vendors will display and sell their products at this section. Floria Flavours - A must visit for anyone who is attending this event as you will at some point need to eat or drinks. Vendors include stalls selling local Malaysian food from different states, drink stalls, and also local souvenir shops. Floria Sunshine Run - This special run is organized by Hivelocity Sdn. Bhd. and takes place on the 26th August from 6.00 AM to 11.00 AM. Flower Arrangement Demonstrations - For the florist hobbyist and businesses, this demonstration is held on certain days and times. Inquire with the organizer for the schedules. Food Trucks - Various food trucks from all over the Klang Valley will be stationed at an area in Anjung Floria. They will be serving a cosmopolitan mix of local, international and fusion food and drinks. Garden Bazaar and Horticultural Market - This is a standard feature at every event where visitors can buy flowers, plants, garden products, outdoor furniture and many related items. Gardening Workshops - Interesting workshops that discuss about gardening tips and techniques. You can find out more from the information counter about these workshops. Hipster Square - A new shopping culture experience is aimed at teenagers and young people who are visiting Royal Floria 2018.
International Floral Pavilion - 19 International designers from Singapore, China, Japan, Germany, Indonesia, Korea, Philippines, Taiwan, and Vietnam will be showcasing their floral designs at the International Floral Pavilion. International Orchid Competition - A highly popular competition where many orchid lovers from local and abroad will participate their prized and rare orchids for this competition. Over 300 Orchids will be on competition this year. Miniature Gardens - This feature is brought back due to the success of the the Bucolic Gardens from 2015 where the Lord of the Rings Hobbiton House was one of the main features. It is also themed as the Mini Hobbiton of Malaysia, and is one of the most photographed garden at Royal Floria. Photography Competition - This is for the photographers and is a very popular category. Prizes include cash and other prizes. You need to register with the relevant department at the event. This takes place on 26th August from 9.30 AM to 10.00 PM. Royal Floria International Dialogue - A seminar and talk sharing and discussing horticulture and related topics by local and international speakers takes place from 25th to 26th August. This is registered event and you can get more information about this from the Institute of Landscape Architects Malaysia or ILAM. 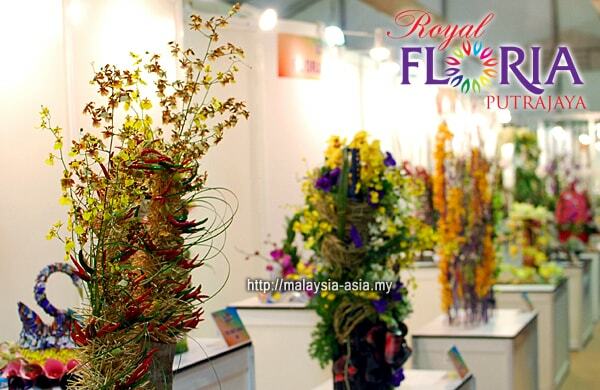 Royal Garden - Since becoming Royal Floria in 2014, the organizers will select one state of Malaysia as the Royal Garden. This year will feature the gardens of Istana Kenangan in Kuala Kangsar, Perak. 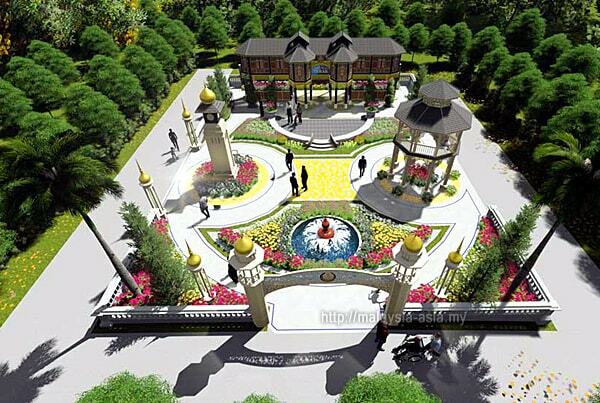 The main entrance of the Perak Royal Garden will feature the Istana Iskandariah in Bukit Chandan. Showcase Gardens - This is a segment participated by various associations, organizations, schools, to display their garden design talents. The Magic of Bonsai and Suiseki Exhibition - For those into Bonsai and Suiseki, this is not to be missed as there will be a display for this category. Tropical Magic In A Glass - This is a Terrarium exhibition for anyone who is into this indoor plant hobby. Watercolour Contest - Open for kids, you need to register at the event or get details from the main information counter here. This takes place on 26th august, from 10.00 AM to 3.00 PM. Watercolor Workshop - There will be a special watercolor workshop taking place on four days at Royal Floria. The dates are 25th, 26th and 31st August and one more on 2nd September. Wonder Garden - This is the main showcase for Royal Floria 2018, which takes you through the 10 years of Floria through various garden displays. You can see unique flower towers and multi-colored flower beds through the Floria Wonder Garden. 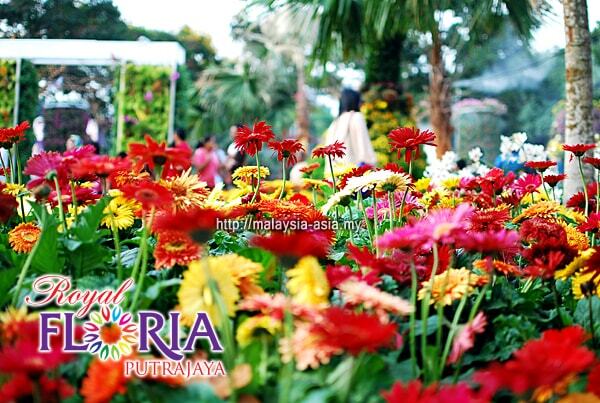 How To Go To Royal Floria Putrajaya 2018? Driving - Those driving can simply key in Anjung Floria into their Google Maps or Waze Application, and it will bring you directly to the event. 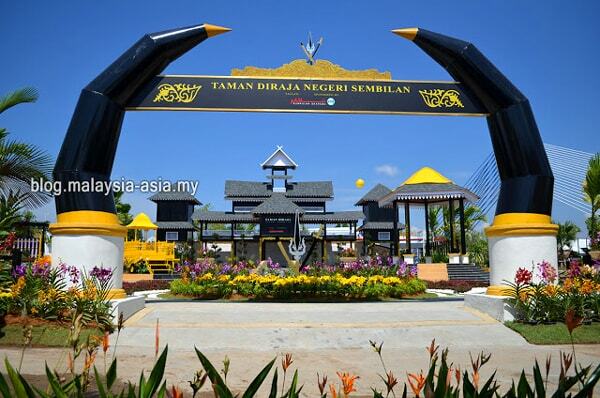 There is a huge parking area in front of Anjung Floria. 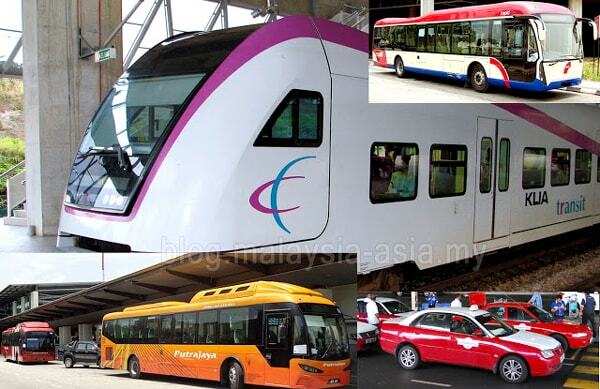 ERL Train - If you are taking public transportation, there is the ERL train service to Putrajaya from KL Sentral, and when you arrive at Putrajaya Sentral train station, you need to take a taxi, Grab or bus to Anjung Floria in Precinct 4. You need to take Bus Route 301 and 401. Private Car - You can also take raid hailing services like Grab, GoCar or MyCar to Putrajaya, and the journey one way is around 50 to 60 minutes from Kuala Lumpur. 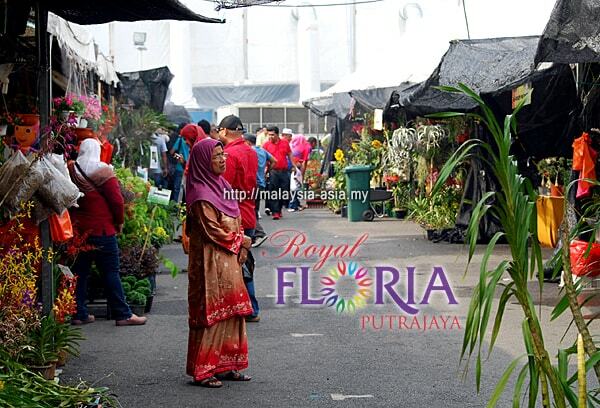 Where is Royal Floria Putrajaya? 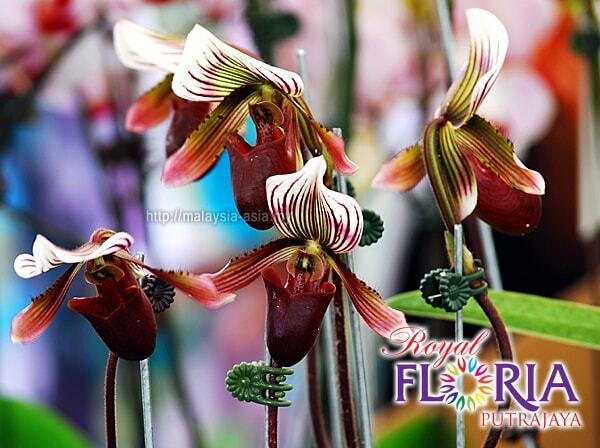 Royal Floria 2018 is located at Anjung Floria in Precinct 4 of Putrajaya. This is the administrative capital of Malaysia and is located about 35 kilometers from Kuala Lumpur city. To drive here, it can take from 35 minutes to 60 minutes one way, depending on the time of the day, and the traffic. Generally, if you plan to do a day trip, then head here early to get parking and also to avoid the midday heat. Or you can come in the late afternoon and spend the evening and night here. My personal tip is if you love flowers and gardens, you should go for this event, as it truly is one of Malaysia's most beautiful event held over 9 days here in Putrajaya. Also, if you want to avoid the large crowds, I will recommend you visit Royal Floria 2018 on a weekday in the mornings when they just open. If you visit on a weekend, you will be among the tens of thousands of people at the event. Therefore, it is entirely up to you when you want to visit. To see live photo updates, follow my social media accounts of Air Plants Malaysia Instagram or David Travels on Instagram as I will be uploading photos on those accounts. If you are new to this, the Royal Floria 2018 is a recommended event to visit, namely if you love gardens and flowers. I can guarantee that you will be impressed by the level of international standards seen here.